AAA Approved/2 Diamonds. 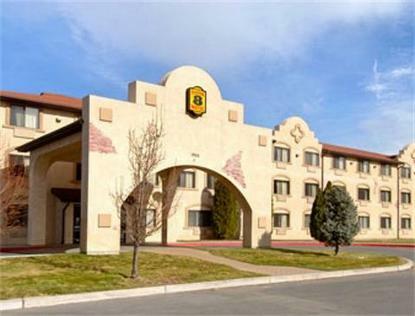 Complimentary SuperStart Breakfast, Wireless High Speed Internet, Alamo Travel Plaza adjacent, Casino, Restaurant and Bar on premises. Pets allowed - $10 per pet, per day. Interior corridors w/Elevator. Suites available w/Jacuzzi, remote control cable TV w/ HBO, ESPN, heated outdoor seasonal pool. RV, Bus and truck parking. Downtown Reno, Convention Center within minutes. Complimentary Action Coupons: $10 free slot pay, 2 complimentary cocktails and a 20% discount at the Iron Skillet restaurant. Credit Card required to confirm your reservation and guarantee your room. Cancellation policy - 24 hours prior to arrival date.